It's spring; It's Easter; and it's the weekend for lots and lots of quilts! 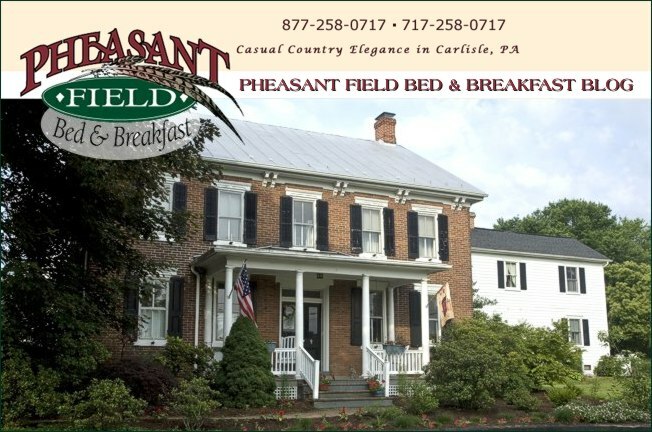 We have lots of daffodils and some tulips blooming here at Pheasant Field Bed & Breakfast. The weather will be glorious for Easter sunrise services in the area. What a great weekend for a short getaway. Remember the quilt auction at the PA State Farm Show Complex this weekend. Friday evening and all day Saturday several auctioneers will be selling beautiful quilts made by members of the Amish and Mennonite communities. All the quilts are donated and proceeds benefit world relief services of the Mennonite Central Committee. Purchase your quilt to keep you warm next winter!